It’s a fast-moving target, but our lawyers and staff in New York and Washington are analyzing the proposed tax bills to see how they will affect authors. Here is where things stand right now - though we expect them to continue to change, since the GOP pushed the tax bill through the Senate. Both chambers are currently working to reconcile the changes in their respective bills. The principal changes to individuals’ income taxes proposed by both the House and Senate bills are 1) changes in tax rates, 2) the elimination of many specific, itemizable deductions and credits, and 3) the increase in the standard deduction. These changes are intended to streamline personal income taxes by limiting the number of those filing itemized deductions. It will make filing returns simpler for many taxpayers, and will benefit those who rely on the standard deduction. However, it will penalize those who currently have high deductible expenses, such as medical costs, dependent child care, and high local and state income and property taxes. The types of itemized deductions and credits to be repealed differ somewhat under the Senate and House bills, and those differences are described below. Neither bill, however, would repeal self-employed writers’ ability to take standard business deductions—a source of some confusion since certain individuals who file as employees, such as “qualified performing artists,” would no longer qualify for unreimbursed business expense deductions under the proposed bills. This provision is applicable only to employees, and not freelancers. 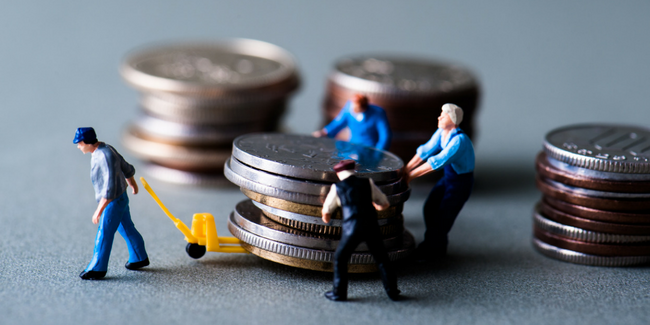 Authors who file as self-employed individuals would still be able to deduct costs like any other business. Some authors use an LLC or other pass-through corporations to contract with and be paid by publishers and others. There are also proposed changes that would affect pass-through corporations, which are still the subject of some debate. We will provide further updates on those as the bills progress. The House introduced, voted on, and passed House Bill H.R.1, the Tax Cuts and Jobs Act. The Senate introduced its own separate bill that differs in many respects, but which similarly reduces tax rates, removes certain types of deductions, and is also meant to simplify taxes to some extent. According to the Congressional Budget Office, the House bill is projected to increase the national deficit by $1.7 trillion over the next decade, while the Senate bill would increase it by $1.4 trillion. The Senate bill (which has now been approved by the Senate Budget Committee), is currently being amended to meet the demands of certain Senate Republicans. The Senate leadership hopes to bring the bill to vote later this week, probably Friday. The Senate and the House ultimately must vote on the same bill for it to become law so if the Senate votes to approve the bill, the next step is either for the House to vote on the Senate bill (and reportedly there is some pressure for it to do so), or the two houses must negotiate a compromise “conference bill.” Once the identical bill is adopted by both houses, it will be sent to the President for signature and becomes law. The provisions that might be of interest to freelance authors are described below. 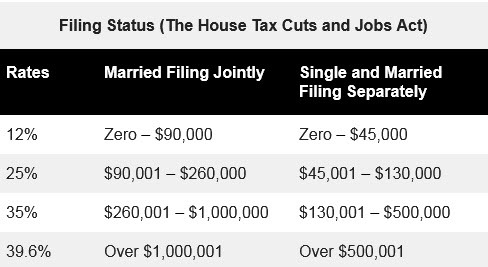 The House’s Tax Cuts and Jobs Act will reduce the number of tax brackets from seven to four, with rates of 12%, 25%, 35%, and 39.6%. The Senate version of the Tax Cuts and Jobs Act, released on Friday, November 10, proposes a seven-rate bracket structure—10%, 12%, 22.5%, 25%, 32.5%, 35%, and 38.5%—three more than described in the House version. The House bill would raise the standard deduction from $12,700 to $24,400 for married taxpayers filing jointly; from $9,350 to $18,300 for single filers with at least one qualifying child (head of household filers); and from $6,350 to $12,200 for single filers. This almost doubles the present standard deduction. Under the Senate bill, the standard deduction would be raised to $24,000 for married taxpayers filing jointly; to $18,000 for head of household filers; and to $12,000 for single filers. Like the House bill, the Senate’s proposed legislation nearly doubles the present standard deduction. The House proposal would cap the mortgage interest deduction at $500,000, reducing the current cap of $1 million. It would also eliminate the mortgage interest deduction for second homes. The Senate proposal would NOT make this change. The Tax Policy Center estimated that the percent of filers who claim the deduction would fall to 4% from 21% if the standard deduction doubles. The House plan, on the other hand, would also eliminate most state and local tax deductions, but it would preserve property tax deductions up to $10,000. Both proposals would be a serious hit to taxpayers in high-tax states like New York, California, New Jersey, and Connecticut. Some of the suggested changes would also mean homeowners could get hit with a bigger tax bill on the sale of their primary home. Current law allows sellers to generally exclude $250,000, or $500,000 for those filing jointly, from capital gains when selling a home if they've lived in it for two out of the past five years. Both the House and Senate want to increase the live-in time period to five out of the last eight years. The Senate bill allows for some exceptions to the time requirement, like if a seller is leaving due to a change in jobs or health care. Both bills eliminate the $4,050 personal exemption that is currently permitted under the law. Thus, while individuals may see their standard deduction increase to $12,000, in the absence of the personal exemption, their net reportable income will be reduced by only $1,600. Couples filing jointly may increase to a $24,000 standard deduction, but, again, without the exemption, their reportable income will be reduced by only $3,200. For a family with one child, their reportable income will actually increase. Seniors who currently receive an additional exemption of $1,550 will see a decrease of only $50 in their reportable income; senior couples will lose their additional exemption of $2500, meaning their decrease in reportable income will be only $700. Under the House bill, the child tax credit is increased to $1,600. (Modified income limits will make the credit available to more families, but no portion of the increased amount will be refundable.) It creates two different $300 family credits, also non-refundable: one for non-child dependents, and one for each spouse if they file jointly, or in the case of a single parent or head of household, depending on income levels. The Senate bill increases the child tax credit from $1,000 to $2,000 (instead of $1,600 as in the House bill) and phases out at higher income levels to enable more parents to become eligible for the credit. The adoption tax credit would be eliminated under the House bill; but is retained under the Senate bill. The House proposal repeals the deduction for medical expenses. This could significantly impact freelancers, who disproportionately finance their own medical care. 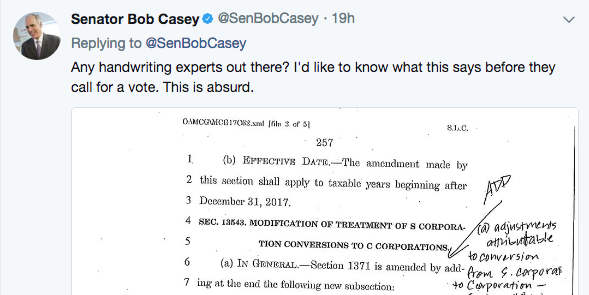 The Senate proposal would NOT repeal this deduction. The House bill would repeal a provision that allows colleges and universities to waive the cost of tuition for graduate students. The elimination of that waiver means that tuition would count as taxable income to graduate students, effectively amounting to a new tax on students. In addition, the House bill would repeal the tax deduction on interest paid for federal student loans. While the Senate bill does not echo these changes, both bills do impose a new tax on private college endowments, which could have the effect of causing those schools to cut back on the level of financial support they can give to students in need. Deduction for tax preparation expenses would be eliminated by the House bill. Under the House bill there will be no deductions for alimony payments effective for any divorce decree or separation agreement executed or modified after 2017. The House proposal would reduce the rate at which “pass through” individual business income is taxed; the tax rate would change for sole proprietorships, partnerships, LLCs and S corporations. Because freelancers’ income is typically taxed at the ordinary income rate, or rates up to 39.6%, this would benefit high-earning authors and adversely affect authors who are in lower tax brackets in a given year but are paid through an LLC. The House proposal would tax some of that income at 25% instead of at the personal tax rate. Under this House proposal, “self-employment” taxes of 15.3% generally would not apply to income qualifying for the new 25 percent rate. This “self-employment” tax consists of taxes paid entirely by a freelancer, such as Social Security and Medicare, which employers normally share the burden of. If you have concerns about the bills, you can contact your local representatives. Many thanks to Robert Pesce CPA and his accounting firm, Marcum LLP (whose name you may recognize from our tax seminars), as well as our lobbyists at American Continental Group, for their help in summarizing the bills. The Republican tax overhaul charges forward. In the early morning hours the Senate passed its tax bill, altered by a series of last-minute amendments from the proposed bill that we covered Wednesday. No Senator saw a final version of the 500-page bill until shortly before the vote. Now the legislation goes to a conference committee to reconcile the differences between the House and Senate versions, unless Republicans press the House to vote directly on the Senate bill. Having conducted legislative advocacy on behalf of authors for more than a hundred years, we know the normal process for proposed legislation—that it must be seriously considered, and its consequences fully understood, before it becomes law. Studies are conducted, and hearings are held before the bill even makes it out of committee, and interested parties are given an opportunity to review the proposed legislation and provide comments. For legislation that will affect authors, the Guild usually participates in all those steps: we review the studies, attend hearings, and testify before lawmakers; we take time to understand the legislation and analyze its consequences for authors; we provide written comments, and meet with lawmakers on both sides of the aisle (literary culture and copyright are seldom partisan issues); we form coalitions with other interested groups to coordinate lobbying activities. But like most of the public, we have been shut out of this process. Virtually no public hearings were held, even though the law will have an enormous impact on all our finances, our ability to own our own homes, health insurance and access to health care, childcare, and education—core issues that most authors and indeed Americans care deeply about. The bill is being touted as a tax decrease for the middle-class, but most of the benefits will go to businesses. Corporations will see a massive decrease in taxes, with the corporate rate moving from 35% to 20%. The tax rates for most individuals will be slightly lower initially (although some people will be bumped up to a higher bracket and will actually see a rate increase). 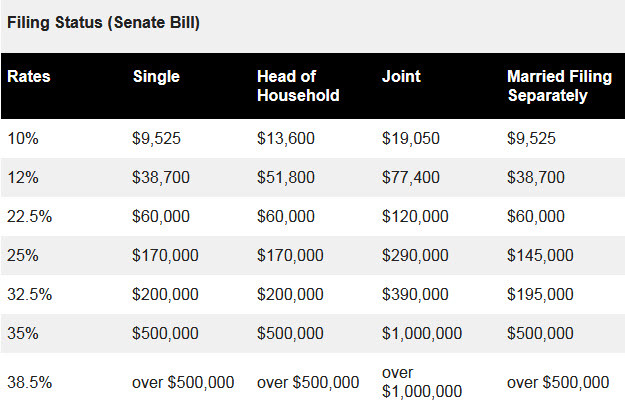 The Senate bill phases out the individual rate cut in 2025, after which those making less than $75,000 a year will likely see a tax increase. And since most deductions and credits will be eliminated, people who itemize deductions may see their taxes rise immediately. Residents of states with high property taxes and high home values—especially New York, California, New Jersey, and Connecticut—will be especially hard hit. According to several recent surveys, less than a third of voters support the bill, far fewer than any other tax cut in the last few decades. (A November 15 Quinnipiac poll showed only a quarter of voters supporting the legislation.) Even Clinton’s outright tax hike received slightly more support. Nevertheless—despite strong objections to the asymmetrical consequences of the law—the Senate and House leadership would like to see the bill enacted before the end of the year. Christmas Tree or Trojan Horse? But others are drawing a less colorful analogy, fearing that the bill is in fact a “Trojan horse” for a larger assault on public welfare programs such as Medicaid, Social Security, food stamps, and the Affordable Care Act, which is dealt a heavy blow by the bill’s repeal of the individual mandate (the ACA requirement that individuals must purchase health insurance if they don’t already get it through an employer, Medicare/Medicaid, etc). A concern is that repealing the ACA mandate will result in fewer people purchasing health insurance, which in turn will cause premiums to skyrocket for everyone else on ACA plans (since the people who are most likely to drop their insurance are the healthiest people, not people who need it), and could even cause a number of insurers to drop ACA plans. The new bill will also probably trigger automatic cuts to Medicare due to a lack of tax revenue, though that’s unrelated to its ramifications for the ACA. Since becoming law in 2010, the ACA has allowed many of our members— self-employed authors—to finally purchase affordable health insurance; and so, if this tax legislation becomes law, the Guild will closely monitor the extent to which the individual mandate repeal limits the availability of affordable insurance. At the same time, we continue to explore affordable options for new group plans. We will continue to monitor the legislation and will keep you posted.